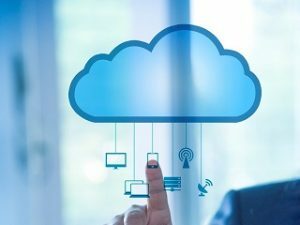 Using either Office 365 Government or Azure Government can give your governmental office a huge boost in finally obtaining top-tier cloud technology. As an example, those of you in the U.S. Government Community for Office 365 are able to enjoy new features announced this last January. If you’re just now starting to use Office 365 Government, you’re about to see how superior Microsoft is in keeping it continually updated. When they announced new cloud features for government workers, it brought an all-new array of tools helping to simplify infrastructure. These also help lower costs and bring new empowerment to your employees. Each feature falls into three categories Microsoft perpetually improves: Communication, security, and analytics. While these new capabilities aren’t new to enterprise users of Office 365, government offices can now use them to stay compliant for federal cloud guidelines. One of the highlights within the new applications is PSTN Conferencing that allows more enhanced ways to communicate during government meetings. As an add-on for Skype in Office 365, this conferencing tool lets you dial in to a meeting through a standard landline phone. Now you can do teleconferencing through an analog system if you’ve never upgraded. At the same time, Microsoft understands the old and the new frequently co-exist in many government offices. The PSTN Conferencing tools also lets you dial in with a single click from your PC or any mobile device. All you have to do is dial in using a toll-free number, then use a pin code. PSTN Calling is now available as well. This has special calling plans directly through Microsoft for local, long distance, and international calls. As a form of VoIP, Cloud PBX is another exciting add, which helps you remove yourself from your outdated phone systems. You’ll be able to call from virtually any device through this technology anywhere in the world. Your traveling employees can easily call in for collaborations when working on time-sensitive government projects. Through Microsoft’s worldwide network, these calls are easily done through the cloud without international hassles. Microsoft takes security very seriously with all of their software. For Office 365 Government, you now have three different features that enterprise users have already long enjoyed. One of the most significant is Customer Lockbox, which lets you give customers complete control of their data in the cloud. It brings new client transparency so a Microsoft engineer doesn’t have to tap the data to resolve an issue. Advanced eDiscovery helps you reduce eDiscovery costs by sorting through and managing overwhelming government data coming in. It works using Equivio machine learning for intelligent control. As a security feature, it weeds out unnecessary documents and keeps only what’s relevant to stay compliant. With Advanced Threat Protection, Microsoft goes further by basically giving you a built-in anti-malware and virus service. Using behavioral analysis, it’s a more intuitive system than what you’ve likely used before. In governmental roles, it’s essential to take analytics more seriously. Microsoft now offers two new analytic tools taking data metrics to new heights, including with real-time functions. The strongest of the two is Power BI Pro, designed specifically for government. Here you can visualize and analyze data with more clarity thanks to improved visualizations. It has a live dashboard so you can read data as it comes in. Interactive reports let you easily understand what you’re reading and with superior sharing ability. In Microsoft MyAnalytics (previously Delve Analytics), you have a metrics feature focusing more on time and relationships. With time management likely being a continual challenge in your government office, this is going to help you understand how to streamline it for each employee. Keep reading us at cFocus Software Incorporated as we explore the benefits of Microsoft’s government software.